The Cinque Terre (how to say it), literally “the Five Lands,” is a string of five rustic villages clinging to the rugged Italian Riviera in eastern Liguria. The only practical way into and out of the 5 tiny towns is by train, giving the area a secluded feeling far from the pressures of our modern lives. This obscure little corner of Italy is famous for a slightly-sweet and high-alcohol wine dating back to 1000 A.D., when the maritime republics of Genoa and Pisa built an alliance and finally rid the region of the pirate raids of the Saracens. Once free of the raids, it is believed that locals from the inland Val di Vara region felt safe enough to establish a life of fishing and grape growing along this strip of mediterranean coastline. The wine, today called Sciacchetrà (how to say it), quickly became one of the most valued wines in the northern and central parts of the Italian peninsula during the Middle Ages. The local winemaking peasants lived a life of extreme physical hardship; the land is rugged and steep beyond imagination, and farming the land for vines and winemaking required the building of dry stone walls by hand, constructed stone by stone without cement. 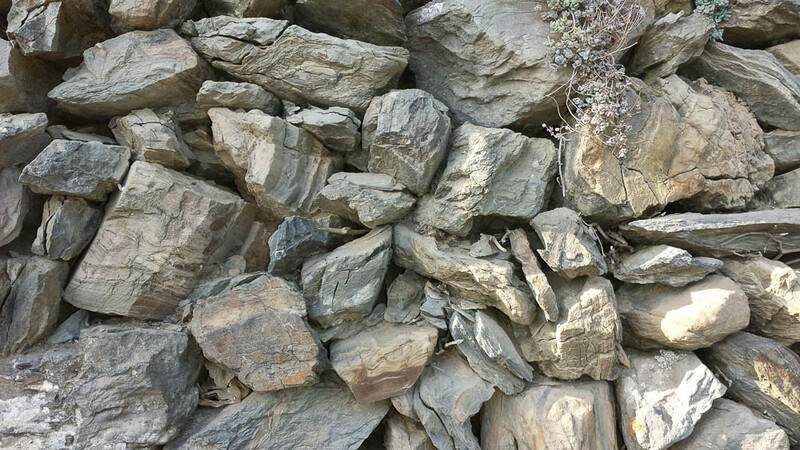 It is estimated today that there are between 25,000,000 to 35,000,000 cubic feet of dry stone wall along the cultivated areas of the Cinque Terre. Over the centuries, the walls inevitably crumble and fall. Locals continuously repair and restack the walls, stone by stone, and without modern equipment. Everyone in the community has a role to play in maintaining the walls and tending the vines. In the 1960’s when Italy had its post-war industrial boom, many of the young adults from the Cinque Terre were attracted to the promise of more money and less labor by working in the bustling factories near Milano and Torino. This exodus of youth created a life-threatening demographic shift in the region, as able hands disappeared and fewer peasants were available to tend the land, maintain the walls and help with the backbreaking harvest. 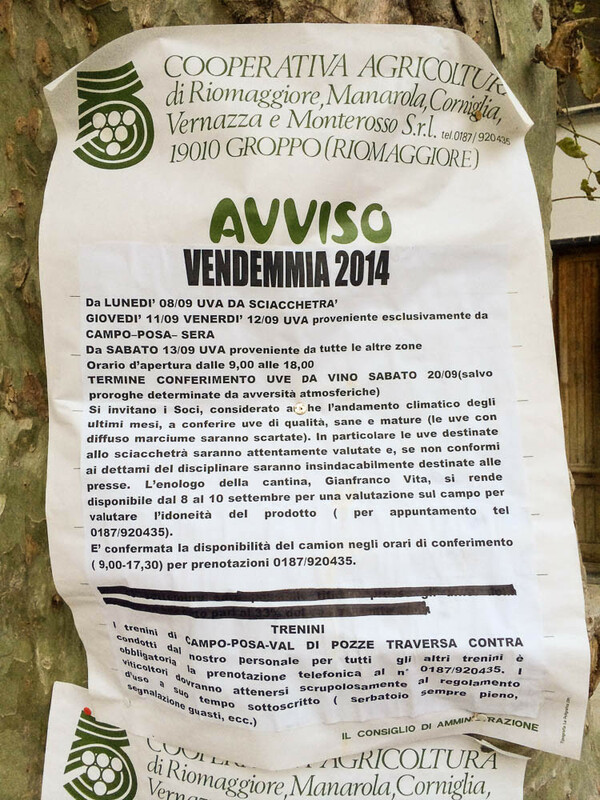 Today there are very few young locals in the Cinque Terre who have picked up the winemaking trade developed over centuries, and as a result the winemaking land is slowing disappearing. What few farmers and winemakers that remain are mostly middle-aged or elderly men. 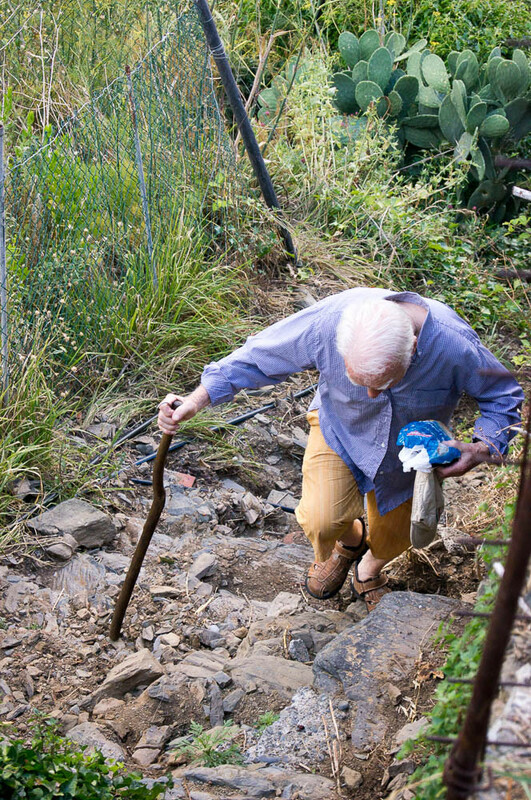 To preserve the land and the winemaking way of life, a Cantina Sociale, a kind of cooperative, was formed in 1973 (now called the Società Agricola Cooperativa Cinque Terre). The locals have stabilized much of the wine production over the years, albeit at a much lower level. 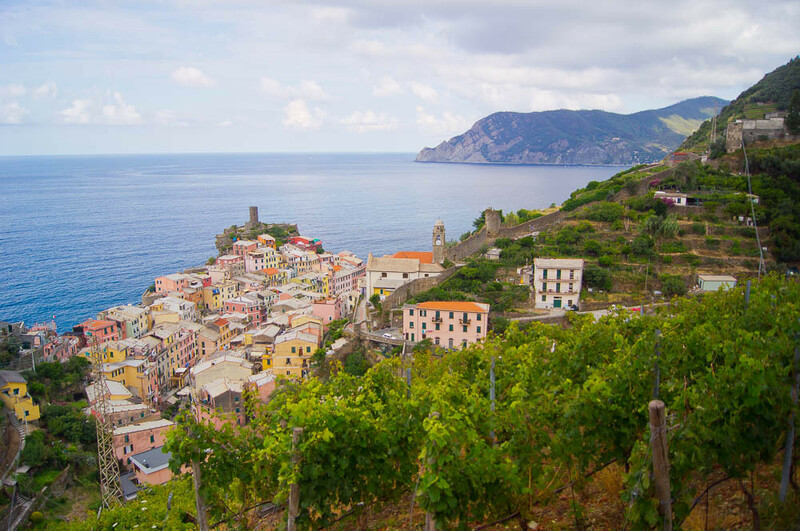 With an explosion of regional tourism that started in the mid-90’s, largely a result of Rick Steves putting the Cinque Terre on the map for American tourists, the locals now have a more reliable source of income to augment what they make from winemaking. In 1997 the region gained UNESCO World Heritage Site status, further helping to stabilize the local way of life. These days the production of Sciacchetrà has been reduced to just a few hundred bottles each by a few producers, and locals have turned toward the production of a few fascinating, dry white wines (sorry red wine fans, it’s all about the white wines here). 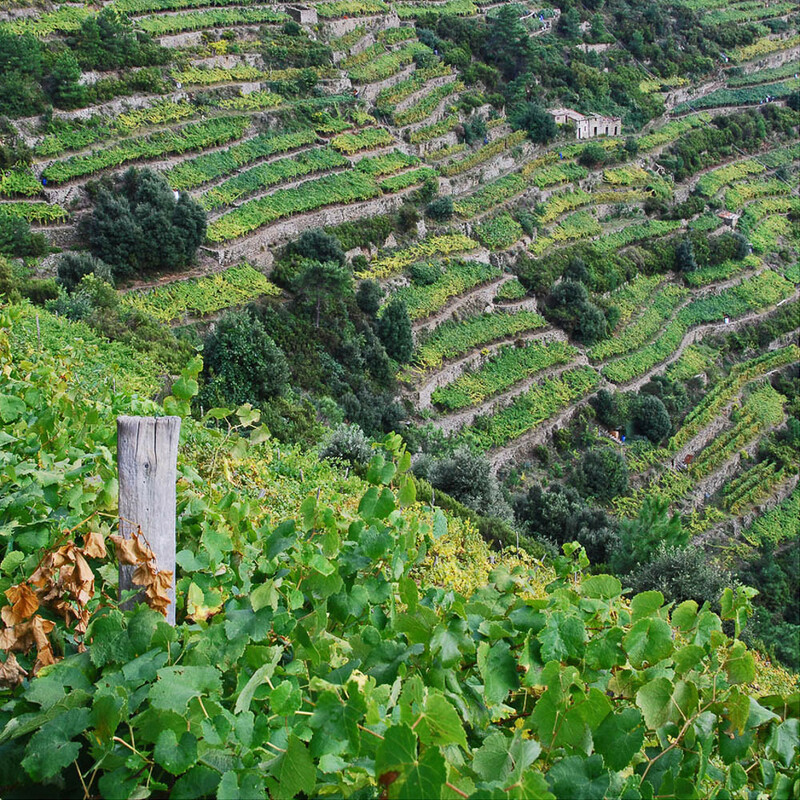 The region’s wine identity is now defined by the dry, minerally Cinque Terre DOC white wines made from the Italian Bosco, Albarola and Vermentino grapes. 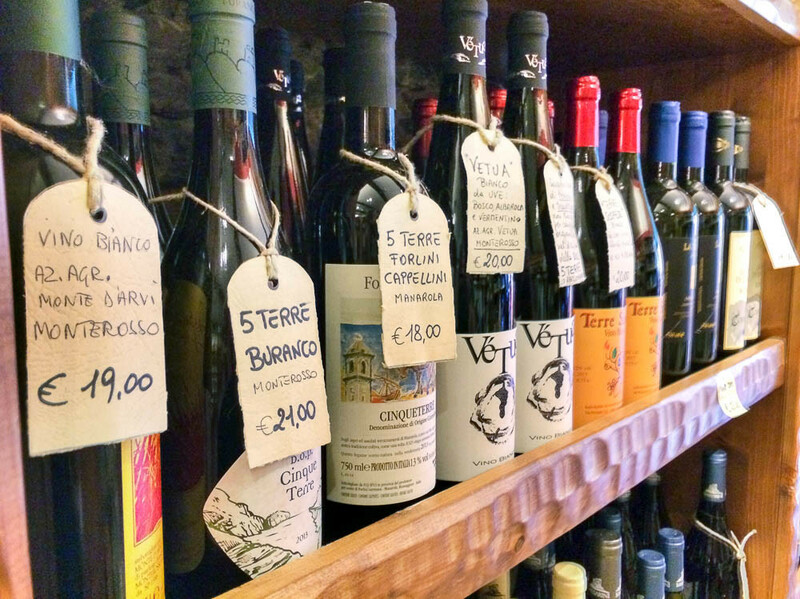 You will find basic Cinque Terre DOC wines in shops and restaurants throughout the region. Across the entire Cinque Terre DOC zone, just 16,000 cases of wine are made and nearly all of it is consumed by locals and tourists who pair it up with the fabulous local cuisine of pesto, anchovies, mussels and focaccia. Cinque Terre DOC wines are very difficult to find here in the US. 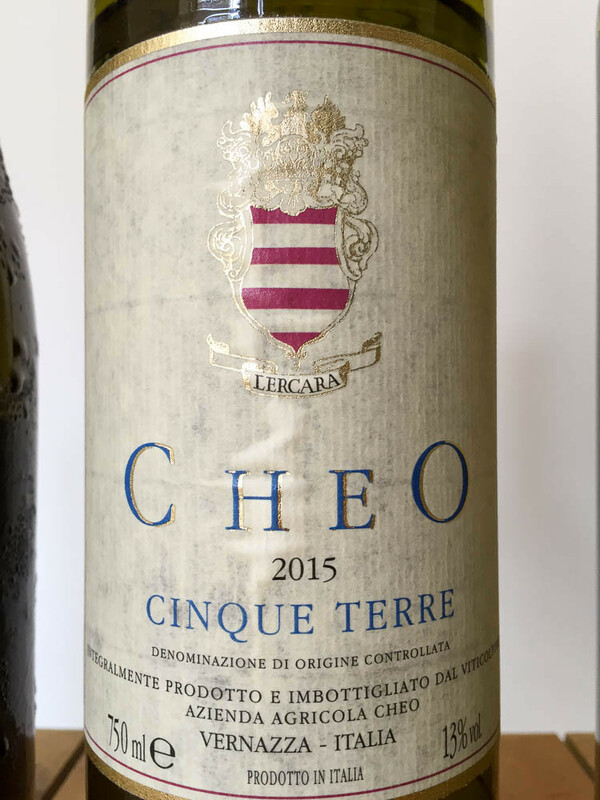 When I approached Bartolo Lercari of the Cheo winery in Vernazza to buy just 20 cases of his Perciò Cinque Terre DOC wine, he paused for a moment, then answered my question with a question: “I can sell every bottle I produce right here in Vernazza, why do I need to export to the US?” Well put. Tasting the Cinque Terre cru. 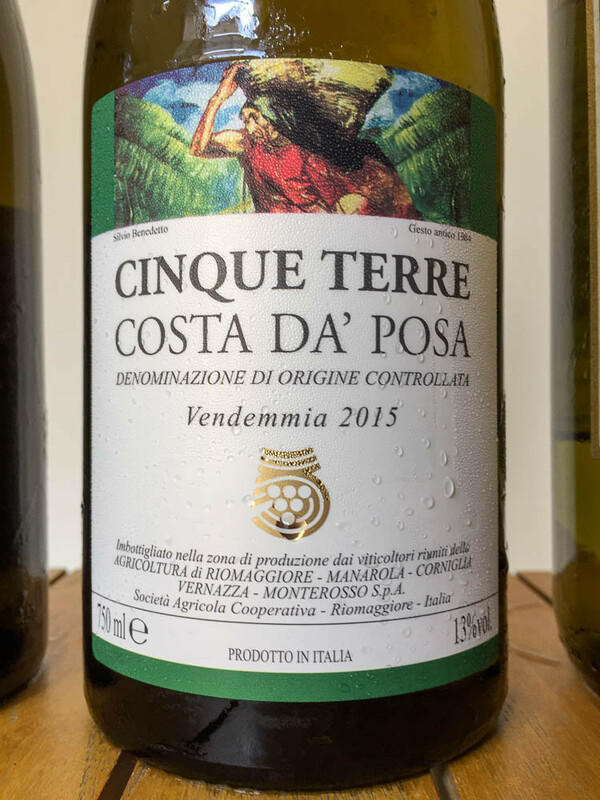 In recent years, some producers of Cinque Terre DOC have been making wines from 3 distinct cru sub-zones of the DOC: Costa da Posa and Costa de Campu near the village of Volastra between Manarola and Corniglia, and Costa de Sera near Riomaggiore. 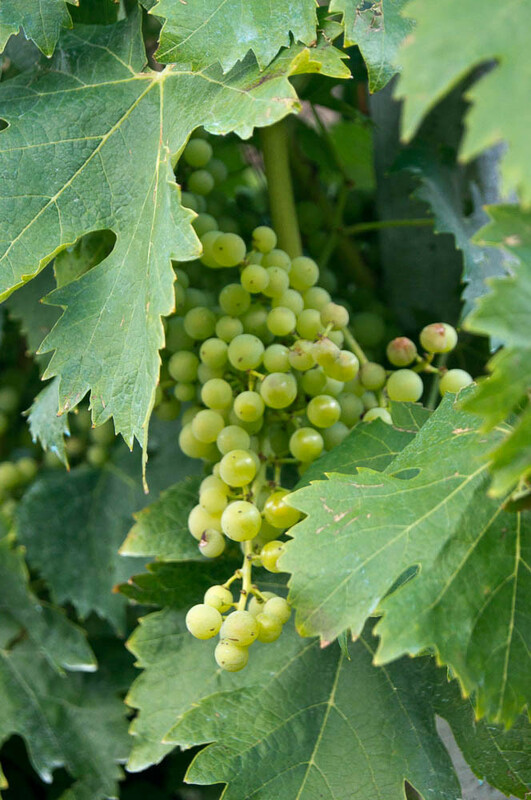 These are unofficial sub-zones, but are considered some of the best growing areas for the Bosco, Albarola and Vermentino vines, with ideal sun exposure, cooling evening winds and distinctive soil conditions. 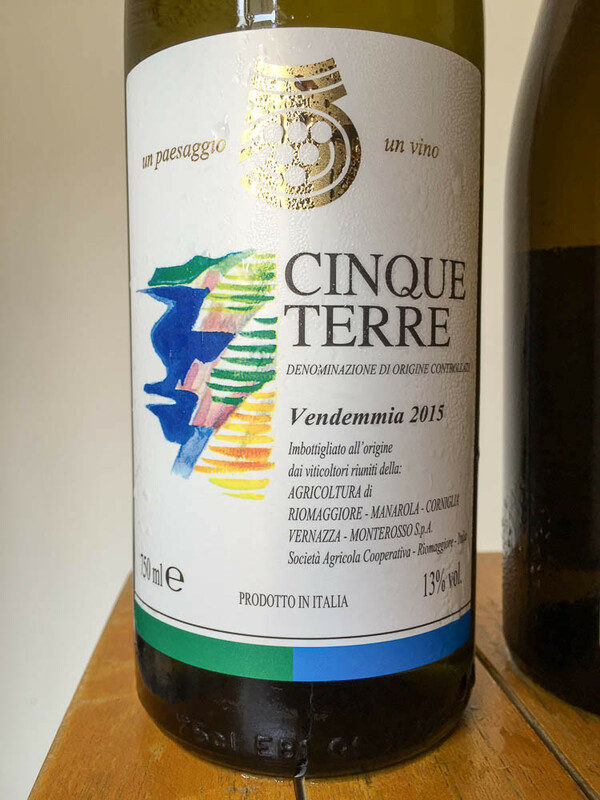 Last June on my annual trek to the Cinque Terre to hike along the coast and soak up the wine and food, I had the pleasure of tasting over a dozen Cinque Terre DOC wines. The wines of the region are remarkably distinctive, and unlike any white wine that most Americans have tried. While I can’t sell you these wines (it’s impossible to import the 2015 vintage right now), I can share with you my interpretation of the wines and encourage you to make your own journey to taste for yourself. The Cinque Terre needs to be on your bucket list (contact me if you would like recommendations of where to stay and eat). If you can’t wait to taste these wines, you can get a good idea of their personalities by trying the Lunae Vermentino Etichetta Nera (black label) which is produced just east of the Cinque Terre in the Colli di Luni region. I stock it when I can get it — check here to see if I have some available. UPDATE: Good news! I’ve been able to source bottles of my favorite Cantina Cinque Terre wine, the Costa da’ Posa 2015 vintage. Click here to see if I have any bottles left in stock. This is the Co-op’s base Cinque Terre DOC wine, and accounts for about half of the region’s production. Most vineyard owners in the area contribute their grapes to the collective efforts, earning around €3 per kilo, then the Co-op produces the wine and distributes throughout the area for about €10/bottle. The nose on the 2015 is light, with hints of banana and mint, but it’s the palate that grabs you — lemon and lime, lemon pith, green notes of soft mint. The wine has a bracing acidity and tartness that goes well with the local dishes. Typically there’s a note of salinity or minerality on this wine, but in the 2015 that’s subdued. The 2015 vintage of the Co-op’s Costa de Campu has a lovely straw color that holds promise in the glass, but it isn’t showing much fruit, and what’s there is mostly lime juice, lime zest, and a whole lot of acidity. I can’t help feeling like the fruit was harvested too early, as the wine has little development. If you try hard, you’ll sense a touch of herbal notes, perhaps a touch of wild thyme. This would likely go well with the local fried anchovies, but given the many other Cinque Terre DOC options out there, I’d leave this one on the shelf. 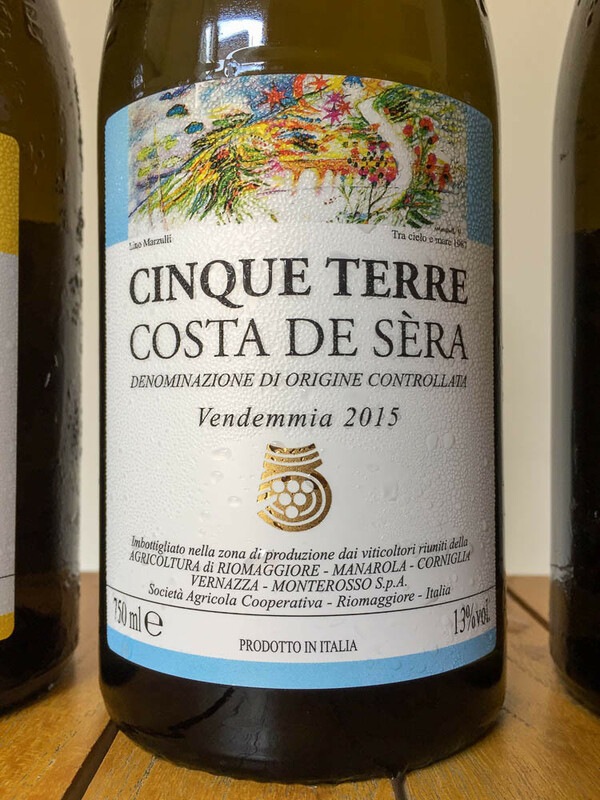 The 2015 Costa de Sèra cru of the Co-op is a more herbal version of their base Cinque Terre DOC: Limes and lemons, wild thyme and mint, hints of green pepper on the palate with that aggressive acidity that goes so well with the local cuisine. The finish is short, leaving a pleasing salty minerality on the palate. With pineapple and a touch of star fruit on the nose, the Costa da’ Posa cru has a lot more going on than the Co-op’s Costa de Campu and Costa de Sèra crus. It’s my favorite of the bunch. On the palate there’s more of the tropical fruit, the characteristic lemon, and a hint of fresh herbs. The salty minerality representative of the zone comes through, and acidity is bracing. The finish is short to medium. This would pair nicely with a fritto misto or a bowl of herby spaghetti alla scarpara from Trattoria Gianni in Vernazza. Bartolo Lercari at Cheo in Vernazza is a micro-producer doing some great things with the local Cinque Terre grapes. His base Cinque Terre DOC is much more evolved than the Co-op wines, with a bright and fresh nose of young yellow apple and pineapple. On the palate there’s a distinct herbal finish, reminiscent of the wild herbs one finds along the sentieri (walking paths) between Vernazza and Corniglia. The substantial acidity and saltiness of the wine helps round it out. Bartolo’s wine pairs perfectly with the local fare, in particular the cozze ripieni (stuffed mussels) from Gambero Rosso in Vernazza. 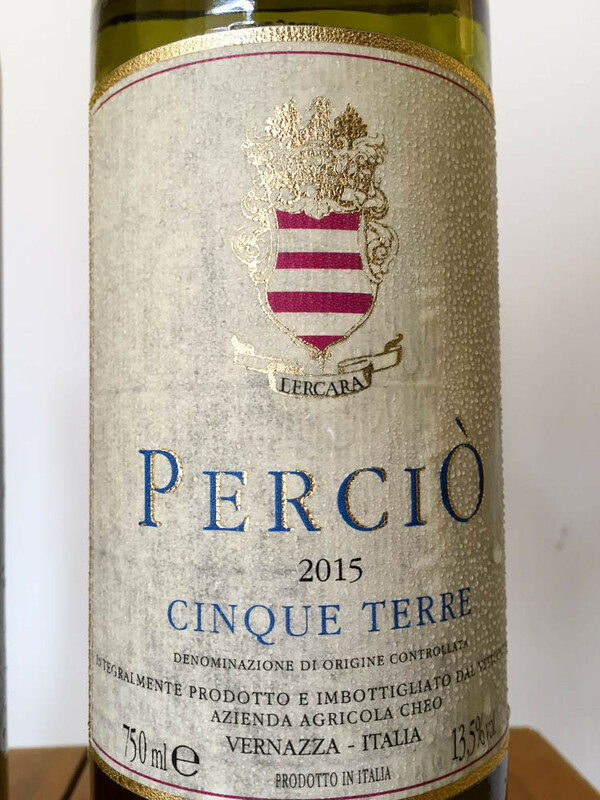 Bartolo’s Perciò is one of my favorite Cinque Terre wines, with a hefty increase of Vermentino (35%) and the addition of the uber-local grape Piccabun to the blend. Lemon and limes jump from the glass, with star fruit, pineapple and underripe yellow apple joining the melange on the palate. The minerality is a delight, and pairs wonderfully with the local fresh anchovies. With good acidity and a medium finish, this is a crowd pleaser that everyone enjoys. You pay a bit more for this wine (about €5 euro more), but it’s worth it. Heroes of the Cinque Terre. 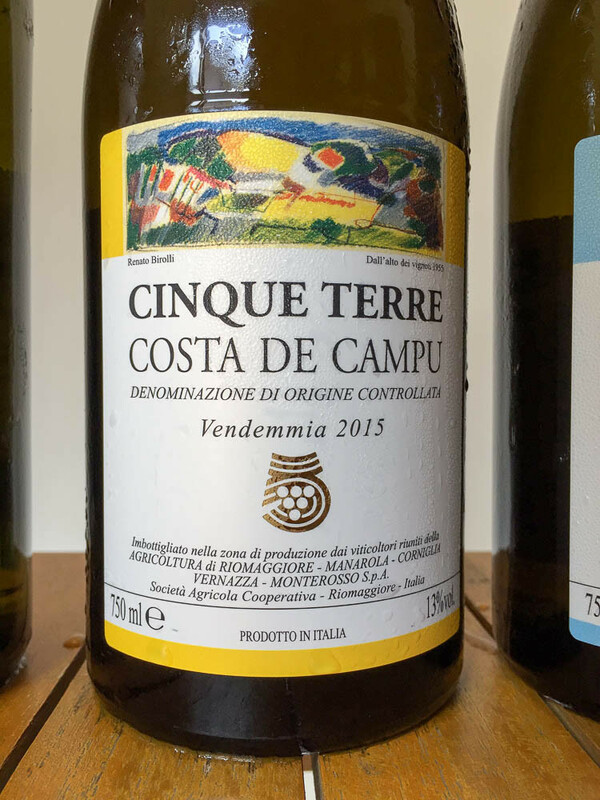 While the Cantina Cinque Terre Co-op makes the lion’s share of the wines in the Cinque Terre, there are over a dozen smaller producers making interesting whites, Sciacchetrà and even a few unusual reds. 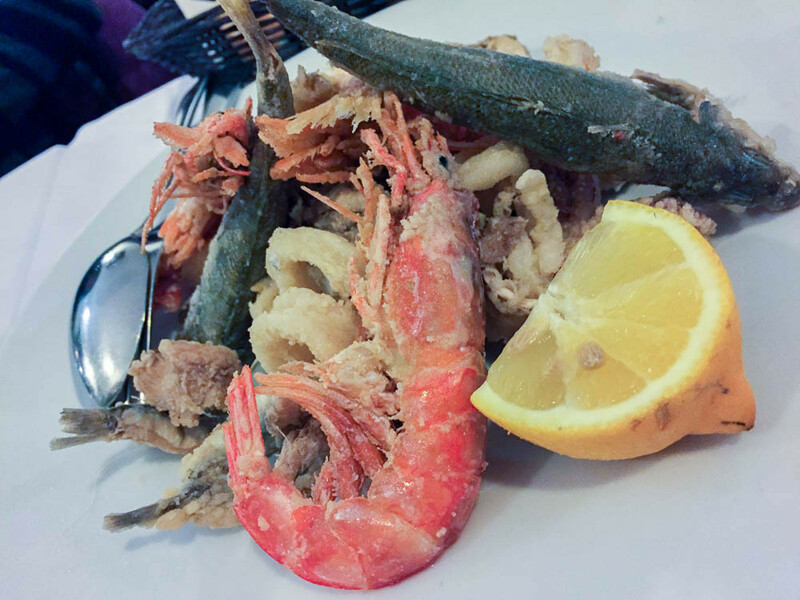 The best way to try them is to travel to the Cinque Terre, stay a few nights in one of the towns (my favorite is Vernazza), and taste them in a local cantina or enoteca. The producers can be tough to reach, but if you are persistent and give them plenty of advanced notice, they will gladly welcome you into their cantina for a tasting. Want an introduction to a local Cinque Terre producer? Just contact me and I’ll see how I can help. ← [QUIZ] Are You an Italian Wine Expert? Ciao — if you're interested in exploring more Ligurian wines, includeing those of the Cinque Terre, you'll find an online enoteca listing a good number of interesting wines. 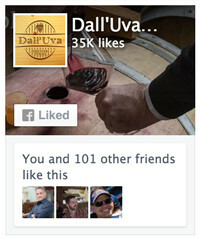 It's run by the magazine "365" and the information is sourced from the Ligurian chapter of the Italian Sommelier Association. 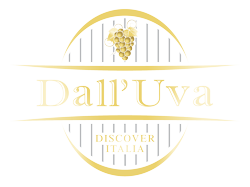 Check out their full listing of Ligurian wines here. 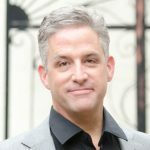 I truly enjoy reading your blog , keep up the great work ! I'm a sommelier, graduated from Le Cordon Bleu in Paris and became a certified sommelier "Vignerons de Saint Vincents De Mâcon"
I was born and raised in Italy in the Venice region, so needless to say how much I enjoy Italian wines, especially a nice cool glass of Vermentino from Sardegna. Ciao Angelo, and thank you for the kind words. Yes, I have to agree that the Vermentino from Sardegna is delightful, and often quite aromatic and herbal — I am now searching for one to add to my curated wine list. Congratulations on your Sommelier certification, and best of luck in your career!